When describing some of the differences between Nick and his older brother, Los Angeles Chargers star defensive end Joey Bosa, Van Valkenburg notes that Nick is "more politically minded" than his older brother, but his public comments, particularly about political topics, have become more "bland" recently. Many analysts, including SI's, believe the chances that Bosa will end up with the San Francisco 49ers are quite high. Due to yet another poor season, the 49ers have the second pick in the draft (his brother went third). After going just 2-14 in 2016, Kaepernick's last season with the team, the team went 6-10 in 2017 and 4-12 in 2018. 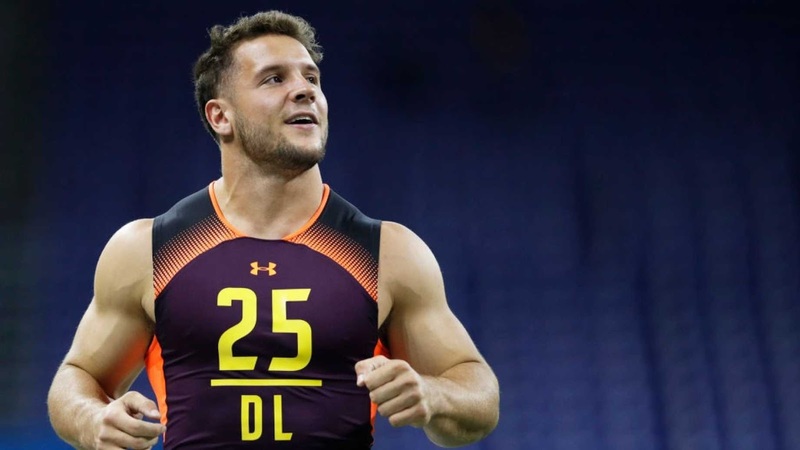 In his discussion of Bosa's high draft prospects, Van Valkenburg highlights some of his impressive credentials, including "earning first-team All-Big Ten honors as a sophomore," before going down with an injury in just the third game of last season. What happened next became something of a melodrama at Ohio State. Bosa had to undergo surgery and then, after weeks of speculation, finally decided to withdraw from the university, prompting much criticism, including from former NFL QB Tim Tebow. Bosa has a reason to be concerned that his past criticism of Kaepernick could be an issue in San Francisco, the birthplace of the national anthem protests. During the 2016 season, Kaepernick went from San Francisco's second-string quarterback to the face of the social justice left when he refused to stand for "The Star-Spangled Banner" in the preseason. Eventually, rather than sitting on the bench, Kaepernick chose to kneel during the performance of the anthem. Asked during preseason to explain why he refused to honor the flag, Kaepernick said, "I am not going to stand up to show pride in a flag for a country that oppresses black people and people of color," explaining: "To me, this is bigger than football and it would be selfish on my part to look the other way. There are bodies in the street and people getting paid leave and getting away with murder." Other 49ers eventually joined Kaepernick in the protest, including safety Eric Reid. Both Reid and Kaepernick sued the NFL for alleged "collusion" due to their divisive protests but eventually chose to settle.